Even if you’ve only had so-so luck with petunias in the past, Supertunia Vista Bubblegum could easily become your go-to landscape annual. Disease resistant, self-cleaning, and a knockout in the garden, Bubblegum lasts through periods of heat and drought to reward you with tons of gorgeous pink blooms and admiring neighbors. Supertunia Vista Bubblegum has a mounding habit that can reach heights of up to 2 feet in the landscape and will trail over the edge of baskets and containers up to 4 feet by the end of the season. 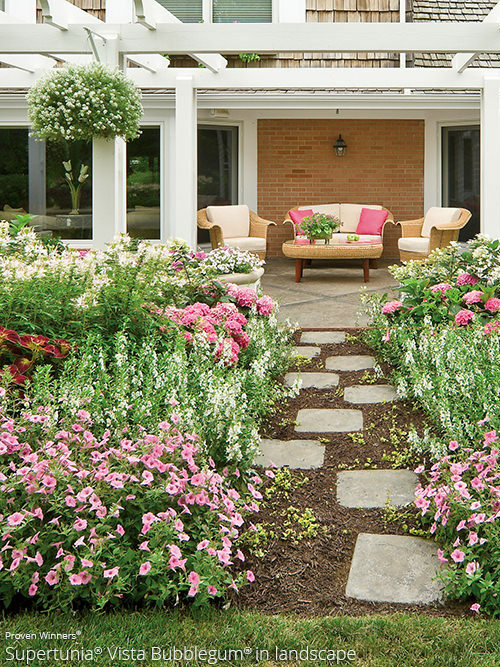 Because it’s so vigorous, use a slow-release fertilizer when planting and then switch to a water-soluble fertilizer every two weeks during the active growing season. 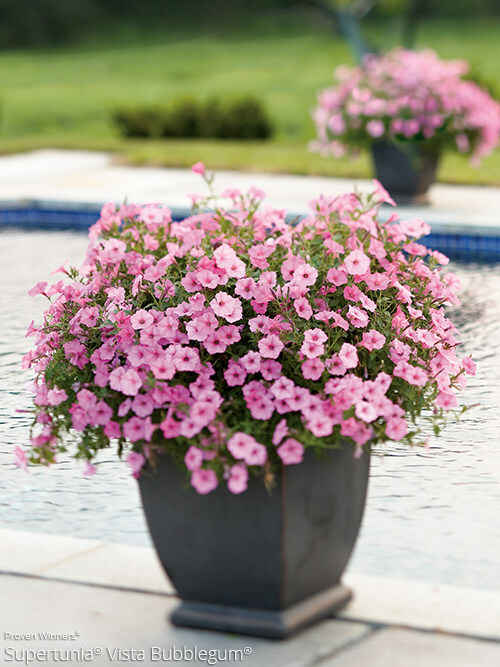 With just a little TLC, this petunia can last well into fall. Other colors are also available – Vista Silverberry is a beautiful companion to Vista Bubblegum.